Posted April 18th, 2019 by Plastic2go in Plastic Pallets. 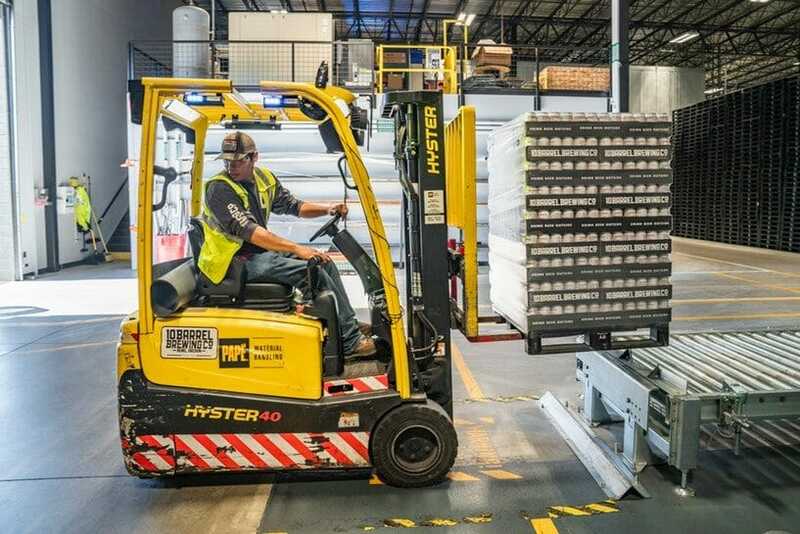 Clients often ask us “How much weight can a pallet hold?” This is a very good question so here’s everything you need to know about calculating pallet loads to suit your needs. How will you use the pallet? Plastic pallets are made for a purpose. The level of engineering “smarts” the goes into the design and manufacture of a plastic pallet is very high. This enables pallet manufacturers to create products that suit particular applications. This can be export, cold room storage or supermarket distribution, each with its own ideal pallet. For example, a very light pallet that weighs 4kg is excellent for shipping light products by air, because its light weight reduces the cost of air freight. However, it only has a static load of 1,200kg, a dynamic load of 400kg and no racking load. On the other hand, a heavy duty pallet that weighs 23.4kg is better for transporting heavy products or for storing in a racking system. This kind of pallet has a static load of 10,000kg, a dynamic load of 2,000kg and a racking load of 1,500kg. Therefore, it’s important to know what kind of plastic pallet you’re dealing with, and what type of application you want to use it for. How will you balance your load? When you try to figure out how much a pallet will carry, the type of load is very important. For example, if you are a watermelon farmer, your load is fairly heavy, but it’s balanced evenly across the pallet. Most growers also put the watermelons into a cardboard box or a bulk container first. Then, they put that on the pallet. Using this type of container also helps spread the load evenly across the pallet. On the other hand, if your load is a roll of printing paper, or a bulk bag of grain, it puts most of the pressure on the centre of the pallet. Under even load distribution, the pallet can hold a lot more weight than when the load is at the centre. Therefore, when you look at pallets’ static, dynamic and racking loads, remember that these are maximum values. Your specific product packaging and load distribution may need a stronger pallet. How will you fix the load to your pallet? To find the effective weight a pallet can carry, it’s also important to know how the product load is held on the pallet so it doesn’t move. Shrink-wrapping the product to the pallet turns the whole shebang into one big thing. This prevents the pallet from bending during movement on a forklift and means it can take a higher dynamic load than without shrink-wrapping. Strapping the load onto the pallet can help increase the pallet’s ability to handle the load, but not always. In the case of the roll of printing paper, strapping across the roll only increases the pressure on the middle of the pallet, and this means that the effective load on the pallet is higher than the weight of the roll. How will you transport your pallet? One thing you have to remember when choosing a pallet is that pallets are often stacked. Of course, if the load on your pallet is 2,000kg and you place another one on top of it, the bottom pallet now has to carry a weight of 4,000kg. This is important when exporting in shipping containers. It also applies when stacking pallets on a factory or warehouse floor to save space. Similarly, if your pallet will be carried by straps, moved on a forklift, or handled in any way that puts more pressure on certain areas of the pallet. You must take this into consideration and buy a pallet with a higher rating than the weight of your load. The best way to check how much weight your specific pallet will carry within your specific materials handling environment is to test. Good pallet suppliers can help you test by providing a few sample pallets. You can then use them for a while in your particular setting and check for yourself how they perform and how much weight they actually carry. In summary, there are plastic pallets that can carry almost any weight. Now, you know how to choose the best one for you. For more details, look at a few of our plastic pallets. Posted October 30th, 2018 by Plastic2go in Export & Shipping, Plastic Pallets. Exports here in Australia are at an all-time high, topping $1 billion monthly. Most of this is thanks to rising commodity trading with China. When planning your export shipments, you need to select the right export pallet size. Depending on where you send your shipment, you will need a different size pallet. Size is also dictated by how you are shipping your products. 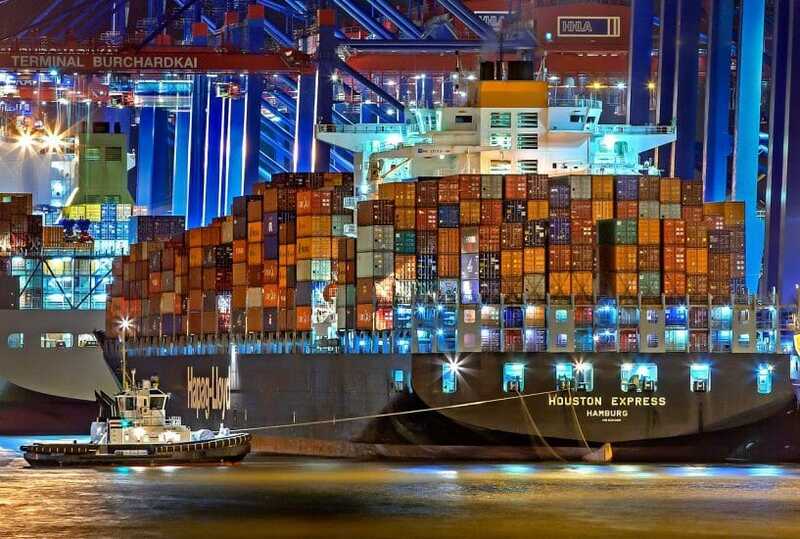 Freight carriers want to maximize the space on their ships and trucks. This means you need to follow any requirements they have. Confused by how to pick the right pallet? Our guide to pallet sizing will explain all factors to consider. When deciding on the right pallet sizing for your export shipment you need to consider the country that your shipment is going to. Each country has their own requirements for pallet sizing. 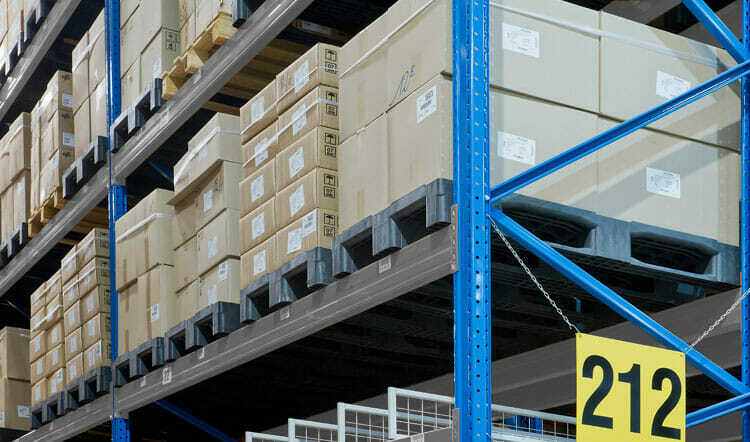 By adhering to these standards your shipment will fit your customer’s racking and transport system. This will make for happy clients. Both plastic and wood pallet dimensions are the same for the countries listed below. The standard size is 48″x40″ (1219x1016mm), which is close to the ISO size 1,200×1,000mm. These pallets will work for shipments that go to North America, including the United States and Canada, and to South America. European countries use a standard size of 1,200x800mm (EURO), as well as 1,200×1,000mm (ISO). Supermarket chains in Europe use 800x600mm pallets, and this has influenced many of their suppliers, like the members of the British Egg Industry Council. You should confirm with your client to make sure they follow this standard and not the UK one. Asian export pallets are a perfect square of 1,100×1,100mm and fit perfectly at two across in a standard shipping container. These are mainly 4-way entry plastic pallets with a full-perimeter-base, also called “monoblock” or “6 skids”. Australia’s internal pallet size standard is 1165x1165mm, which isn’t used anywhere else. Therefore, products are imported and exported on pallets that suit the country of origin or destination. New Zealand uses the ISO standard (1200x1000mm). The ISO creates a single set of standards for countries across the world. These standards are in a variety of industries for quality, environment, and management. As international trade increases, international standards help people do business together better. The ISO created a single set of standards for export shipping pallet sizes. This list of standard sizing has six main categories of sizes. You need to consider more than the dimensions when thinking about size. Consider the weight of the pallet when planning your shipment. Road transport, airfreight and LCL shipping costs get calculated by weight, so you need to include the weight of the pallet. Plastic pallets weigh significantly less than wood options. Wood pallets can weigh 13-30 kg. Plastic pallets weigh less at 4.5-10 kg. Some industries have a standard pallet size that gets commonly used. If you are in one of these industries, you need to take this into consideration. Often the pallet matches the product footprint. For example, the auto industry tends to use a standard export pallet size when shipping parts. The common size for the automotive industry for pallets is 1200x1100mm. When shipping these items choose a pallet as close to these dimensions as possible. This size is common since it matches the footprint of returnable bins. These bins are what parts manufacturers and vehicle manufacturers use to transport parts. The standard pallet size for pharmaceutical companies is 1200x800mm. If you supply raw materials to such a company, this is the export pallet size you need. Chemicals, minerals and raw plastic are shipped in 25kg bags on 1300x1100mm export pallets. The final factor in determining correct pallet specification is the mode you plan on using. Each transport method works best with a different size of the pallet. Ocean freight pallets must fit into shipping containers that get stacked on ocean freighters. Think of this as many smaller cubes packed into larger boxes, and then stacked on the ship. The freight company wants to maximize the density of their load. This means stacking the cubes as compactly as possible. The best pallet sizes for ocean freight are 1200x1000mm and 1100x1100mm, because they fit side-by-side and make good use of container space. Other sizes, like 1200x800mm, fit, but do not use the container space in full. Other sizes may not even fit side-by-side. When sending products by air, your pallets will be placed on top of another flat pallet and locked into place. Therefore, your pallets must have feet, not skids, and the feet must be tapered. See this air freight pallet as an example. 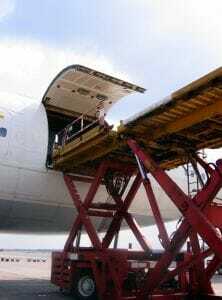 Since air freight cost is largely affected by weight, your pallets should be as light as possible. In Australia, distribution is done mostly by trucks on 1165x1165mm pallets, but those are not suitable for export. However, due to the history of using timber pallets, transport companies use 1200x1200mm as their “pallet space”. Therefore, 1200x1000mm and 11001100mm pallets can fit well onto Australian trucks. What If You Choose the Wrong Export Pallet Size? Sending the correct pallet size is your way of being considerate and delivering something useful to your destination besides products. At the receiving end, incorrect pallets will simply be discarded after the product is unloaded, because there is no further use for them. However, your product will still be delivered. When using the correct export pallet size, you may be able to negotiate their value as part of the deal with the client, because they can sell them or use them. Finding the right export pallet size requires you to consider where, how, and what you are shipping. Take into account that you want your product to fit entirely onto the pallet with no hangover. Select a pallet that complies with the sizing of the destination country. This lets your client receive their shipment with ease. If you are in an industry that uses a specific size, your decision is an easy one. It is best to stick with the industry standard. If you ship an item that does not need quarantine at customs, choose a plastic pallet. Plastic pallets automatically comply with ISPM 15 regulations. Plastic pallets do not carry the same risk of pest infestation that wood pallets have. This means your shipments will move through customs faster. Please see our wide selection of export plastic pallets for your shipping needs. Posted March 26th, 2015 by Plastic2go in Plastic Pallets. 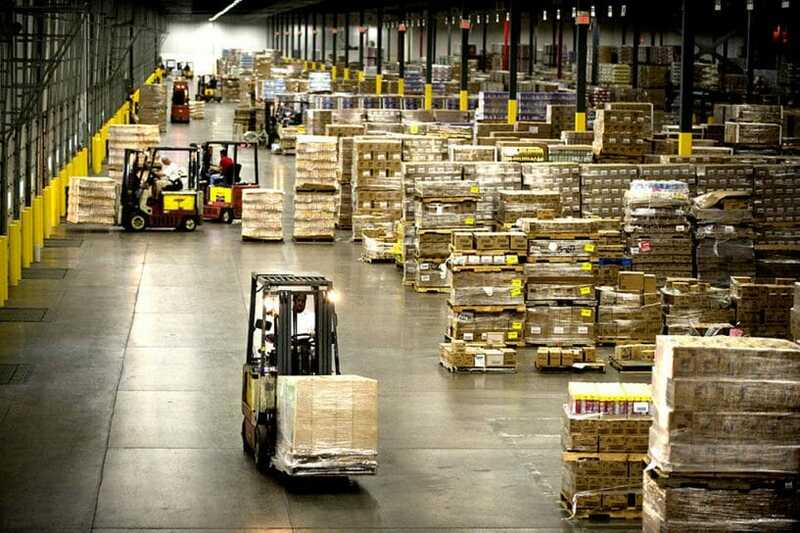 The logistics industry is huge, involving several activities. If you run a logistics business, or are in charge of logistics in your organisation, you are probably looking out for a cost effective way to get pallets for packaging and transport. You have two options – either buy plastic pallets or rent them. What is the best choice to make and what type of pallets should you use? Posted December 23rd, 2014 by Plastic2go in Plastic Crates. About 6 months ago (June 17, 2014), we announced a set of new folding (collapsible) ventilated plastic crates for agriculture handling and distribution. But, as we said, our engineering department just keeps the good stuff coming. We are very excited to announce a brand new range of 5 foldable vented plastic crates with ergonomic easy-lock handles for super easy handling in the fields, while loading trucks and in the cool room. Whether you are growing or distributing, this is a great selection of crates for you. It’s easy to find the ideal crate for your tomatoes, bananas, avocados, mangos, stone fruit and any type of fruits and vegetables you need to process. 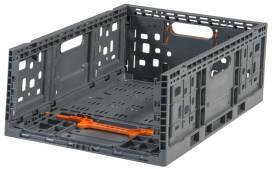 Besides the ergonomic easy-lock handles, a massive advantage of these crates is the very high return ratio. They fold down so tightly that storing and transporting them empty is cheaper than any other crate range on the market. Posted July 7th, 2014 by Plastic2go in Plastic Crates. Posted June 17th, 2014 by Plastic2go in Plastic Crates. The plastic injection molding industry keeps moving forward and making better and better products, including vented folding (collapsible) plastic crates for return packaging systems. We have just added 6 of these crates to our range of products. Whether a folding crate for picking peaches or for delivering kiwi fruit to the market, one of these brand new, state of the art vented plastic crates will be ideal for the job. 3 of them fit the ISO standard (600×400) and the other 3 fit the Australian standard at varying heights. All of them fold to take up to 6 times less space to save money on return trips. Posted June 4th, 2014 by Plastic2go in Export & Shipping, Plastic Pallets. Using plastic shipping pallets is a cost-saving strategy for today’s businesses. Switch to plastic pallets and reduce costs by: saving on transport costs; minimising product loss; re-using plastic pallets; and purchasing used pallets. Transporting or shipping goods anywhere, be it across the country or internationally, costs money. There are not only costs associated with the goods themselves – taxes, etc – but also those related to transporting them. Plastic pallets are light and easy to transport, reducing your overheads; they are easy to sanitise, reducing quarantine charges. Traditional timber pallets can splinter, break and absorb water, which can warp the timber as it swells. the resultant product damage can be very costly. Switching to plastic shipping pallets, while initially more expensive than timber, can minimise loss caused by product damage: the savings can greatly outweigh any increase in pallet cost. Posted May 21st, 2014 by Plastic2go in Export & Shipping, Plastic Pallets. Posted November 18th, 2013 by Plastic2go in General. This is the new Plastic2go website. It’s easier to use, looks great on any device and full of high quality plastic pallets, crates and bulk containers for you to choose.